One of the many bright spots of the Thai horror industry over the past few years is their blending of horror and slapstick comedy, a facet which has been prevalent in their film history for many years by itself. Once the country began combining these elements , a string of films have emerged which have exploited them and been quite popular in their local cinemas which now includes the debut effort from director Siwakorn Charupongsa, known as “Premika”. Following a devastating accident, Premika (Natthacha De Souza) a young woman whose heart was placed inside a karaoke machine, turns up at a special resort where a series of auditions are being held for new musical acts. As they begin jockeying for the favor of the new gig with the owners of the establishment, a series of strange deaths and disappearances begins affecting the troupe left behind, eventually causing them to stumble across the ghost girl haunting the facility. Learning how to stop her, they set about trying to appease the vengeful spirit in order to escape with their lives. By and large, ‘Premika’ is quite an enjoyable effort. This is mainly due to the generally high amount of comedy featured throughout here. The majority of this is genuinely hilarious. The wordplay is a major contributor to the laughs, mixing together rapid-fire delivery of joke-after-joke incredibly well. The meta-ness of the dialog by commenting and making fun of the situation at hand also shows up throughout the film as the wholesale commentary on the role of the music industry provides plenty of laughs. Poking fun at the inability of most performers to actually be capable of singing on-key or knowing the proper lyrics has plenty to like here as well. Despite the comedy, there are some genuine attempts at scares in the film. A scene of the bumbling photographers mistaking the silhouette of their boss approaching them in the pantry for a ghost plays off an urban legend about the slowly approaching being, and several gags about the ghost popping up in mirrors or cell-phone screens offer some unexpected jump-scares. Even a recurring series of scenes where the victims are tricked into performing harmful tasks against themselves under the influence of the ghost score nicely as well. Full-on scenes of the dismembered body of the ghost coming to life and haunting victims offer the intention of straightforward scares despite going over-the-top with the gore gags for laughs, furthering the comedy angle as well. Also playing nicely into the horror scenes are the karaoke duels that are featured throughout here. Either taking place inside a hotel room or out in the forest surrounding the building, these scenes are the highlight of the movie. Filled with gaudy, bright colors, blaring techno music and tons of cheesy decorations, the idea of a ghost utilizing a possessed karaoke machine fills the goofiness quotient of the storyline which really helps set that atmosphere rather quickly. The way it manages to introduce the scenes out in the forest, complete with costume changes for each of the tracks and a brutal, grisly series of deaths handed out to each of the participants who fail her request, fill the running time with plenty of exciting moments that make for a truly fun film. For all that’s right with ‘Premika,’ there are a few flaws. One of the main issues here is the rather unnecessary use of flashbacks that don’t really need to be featured at all. It doesn’t need to have useless flashbacks to the group at school with their own issues and problems, which severely derail the energy and momentum of the rest of the film. There is no real reason to have these issues, at the point where it’s wrapping up its main storyline, which is a big issue. As well, the typical antics usually featured in their comedic films is a rather big hurdle to overcome. The goofy oneliners, ridiculous mugging for the camera and the insane amount of slapstick featured here manages to be featured to such an extent in the script by director Charupongsa, Komsun Nantachit and Sukree Terakunvanich that those not used to such elements in their films, in addition to the already-wacky storyline, can be overwhelmed. The lousy CGI for the special effects, utilized for bloodshed and wounds doesn’t help matters either. Otherwise, there’s not a whole lot wrong with the film. While “Premika” does have a few minor issues apparent throughout here, none of them are truly detrimental enough to fully lower this from the more engaging and endearing positives which elevate this one nicely. 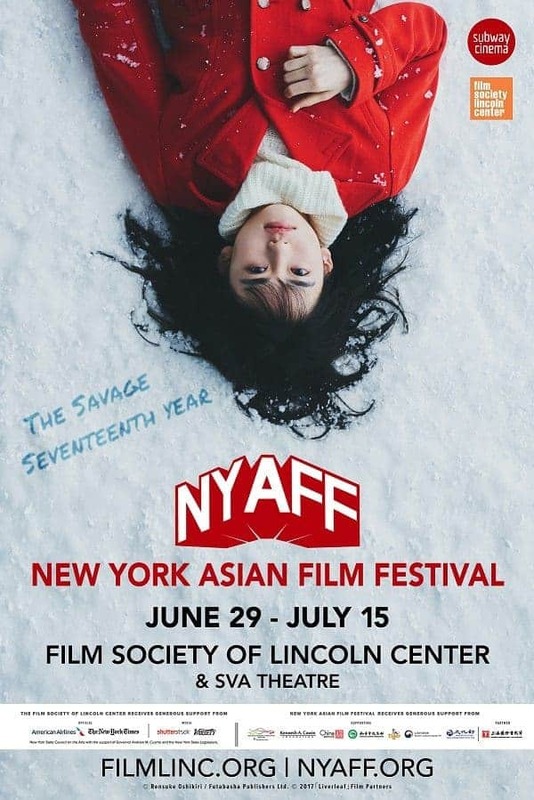 Give this a chance if you’re willing to embrace the wacky antics on display or are just a fan of these wild comedic Asian horror efforts, while those that find themselves put off by any aspect of this should heed caution.